With Singin’ in the Rain the most popular movie musical of all time, AMDA faculty member and director Jon Engstrom knew that the audience would expect some of the iconic scenes from the film. Musical Theatre West brought in the expert to direct and choreograph their 2014-2015 season closer this summer at the Richard and Karen Carpenter Performing Arts Center in Long Beach. Beyond translating from film to stage more than 30 separate scenes, the show also features two scenes in the rain. The challenge of getting that much water on stage in drought-stricken Southern California was not easy. The water that is used for the rain must have a specific pH factor and be heated to a certain temperature. Additionally, to get cleared for using that much water each night, Musical Theatre West had to prove that the water was being recycled onto the grounds of California State University, Long Beach. And though this was Engstrom’s first time using a new set from 5th Avenue Theatre, the show passed inspection and the technical rehearsals for the rain sequences turned out much easier than past productions. 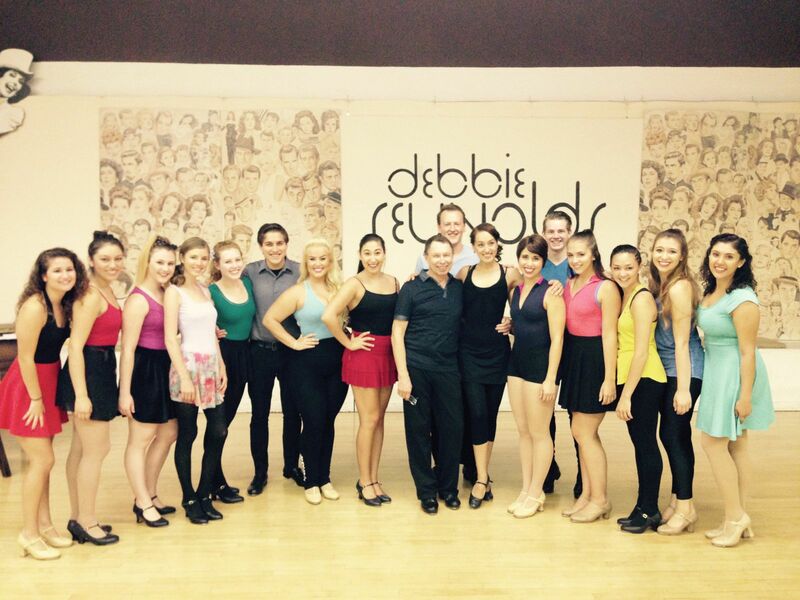 Engstrom, who has been on the dance faculty at AMDA Los Angeles since 2005, was assisted by AMDA faculty member and dance captain Hector Guerrero, who played the role of Sid Phillips, a director for the fictional Monumental Pictures Studios. On faculty since 2006, Guerrero teaches dance at AMDA Los Angeles. 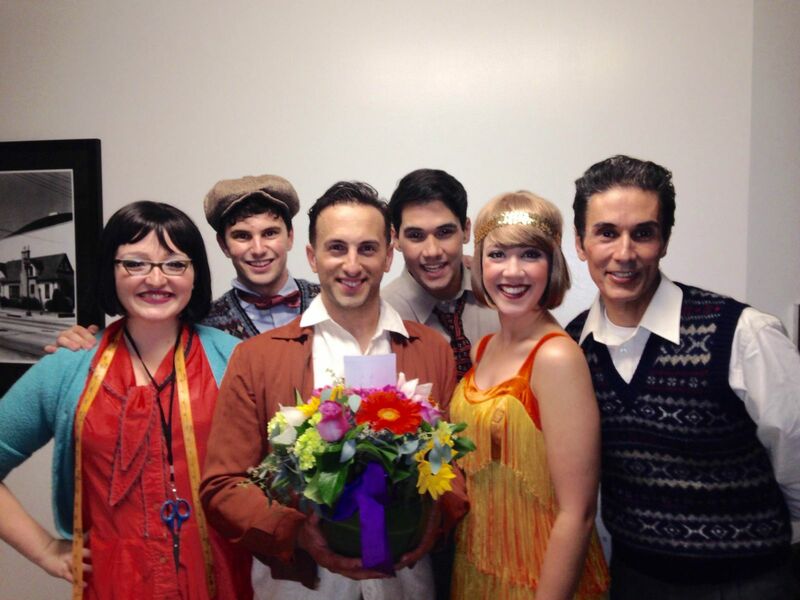 Based on the many reviews, AMDA NY alumnus Justin Michael Wilcox was a standout in his role as Don Lockwood’s boyhood friend and accompanist, Cosmo Brown. Keeping to a busy schedule, Wilcox simultaneously starred as Iago in Disney’s Aladdin: A Musical Spectacular at Disneyland. The ensemble featured seven triple-threat AMDA alumni: Juan Caballer, Brandi Lacy, Theresa Murray, Gabriel Navarro, Ariel Samuels, Jennifer Simpson, and Rodrigo Varandas. Most of the AMDA graduates had worked with Engstrom and Guerrero in class at AMDA LA—but not all—so this production brought together AMDA family from both coasts for a very entertaining show. 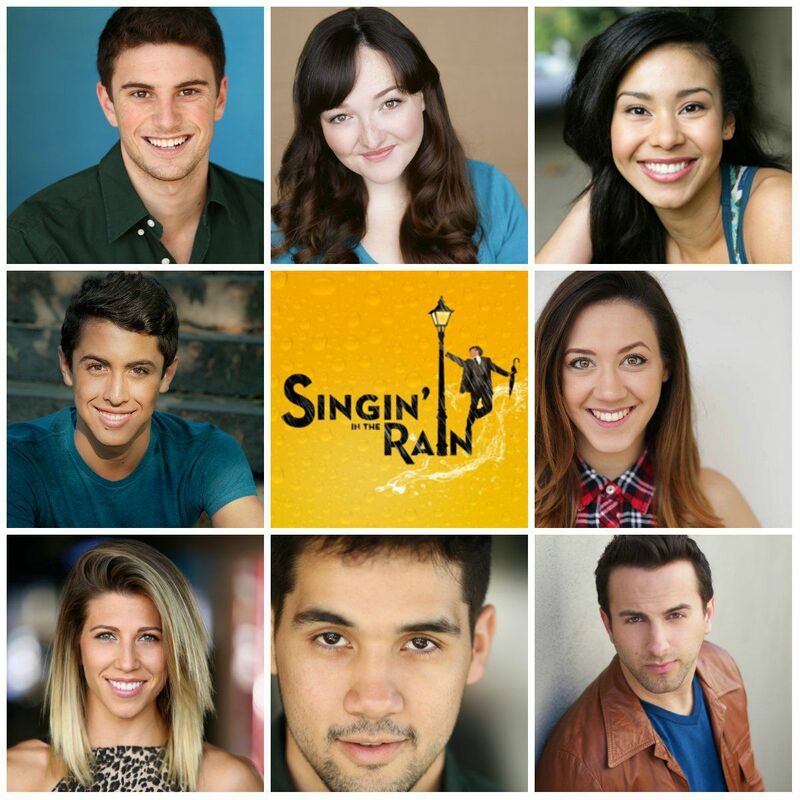 Singin’ in the Rain was presented by Musical Theatre West by special arrangement with Music Theatre International from July 10-26, 2015.